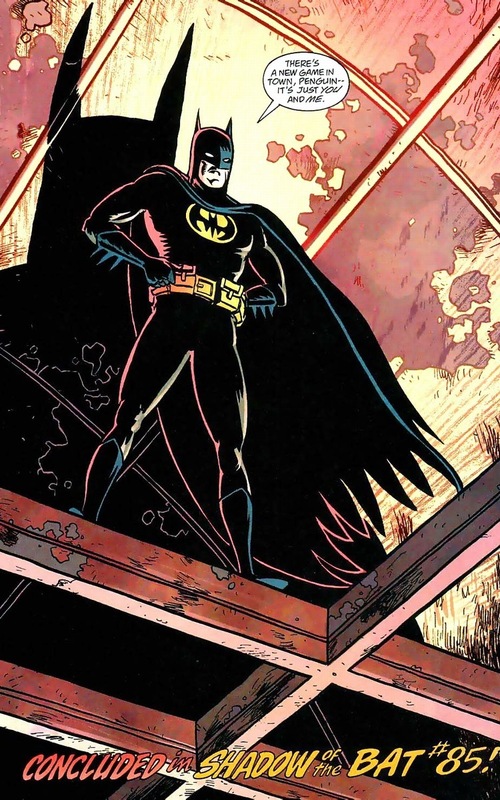 The Batman event No Man’s Land continues to be a treasure trove of awesome stories to pull from. If you’re unfamiliar, Gotham City suffers a catastrophic earthquake, leveling the city and turning the controlled chaos into absolute chaos. 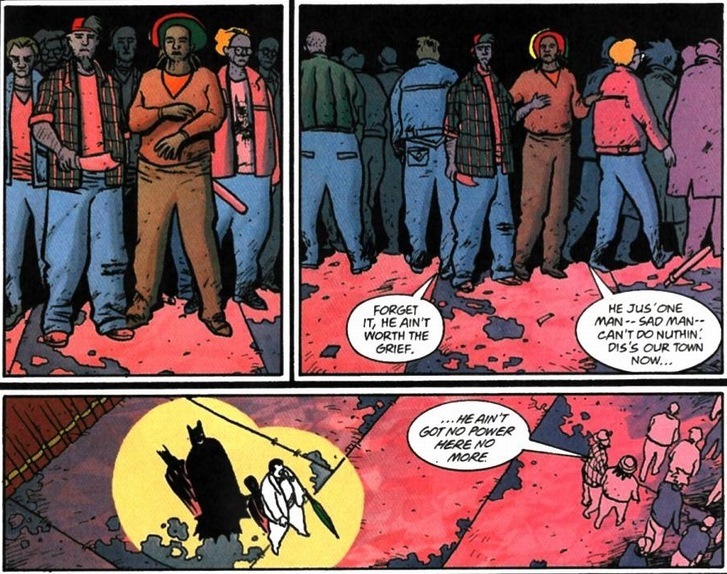 It’s about as close to a canon post-apocalyptic Batman as we’ll get — and the best part? The whole thing lasts for around a hundred issues spread throughout a half dozen titles. 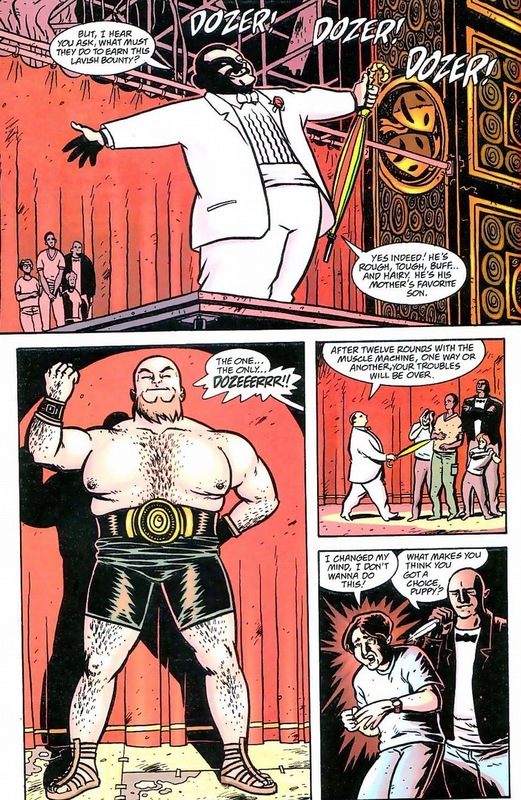 Today, as the Gotham City supervillains carve up their own territories with their own colors and rules and murders, the Penguin puts forth a more intelligent scheme. Y’know, cashing in on people’s misery by making them compete in death fights for the entertainment of the betting masses. The normal stuff. 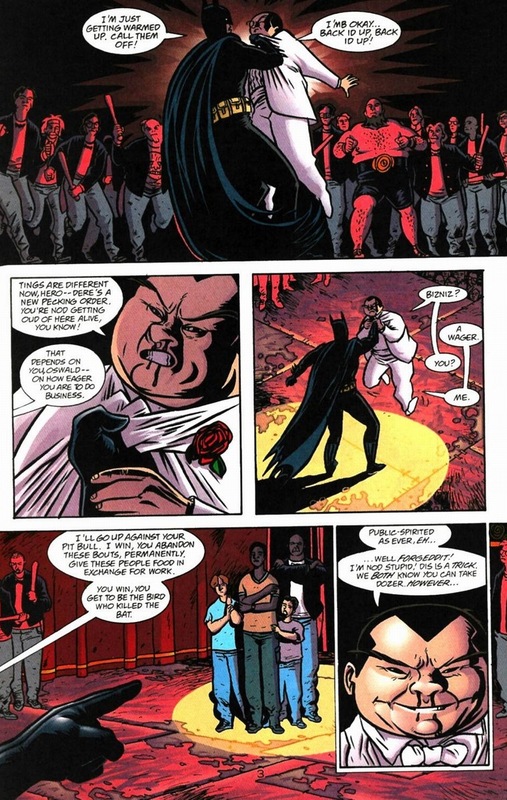 Enjoy a moment from Batman: Legends of the Dark Knight #117 and Batman: Shadow of the Bat #85, both written by Ian Edginton and drawn by D’Israeli. 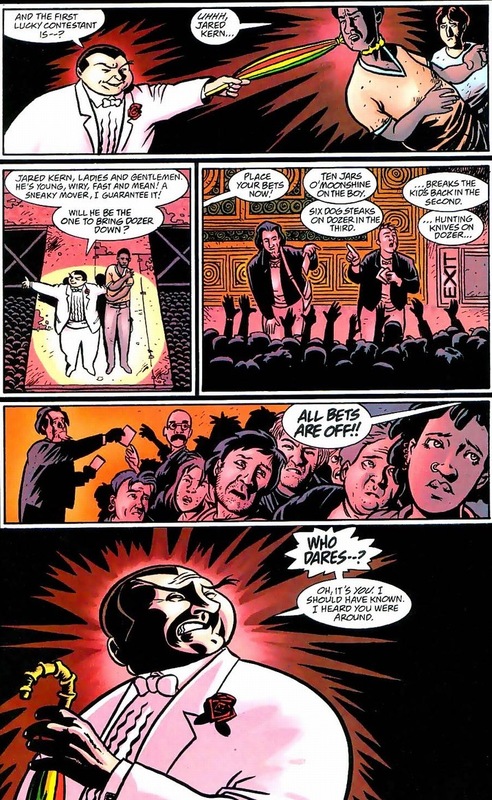 The Penguin figures with no electricity or entertainment flooding the city, he can rake in all the leftover supplies by creating his own betting palace. 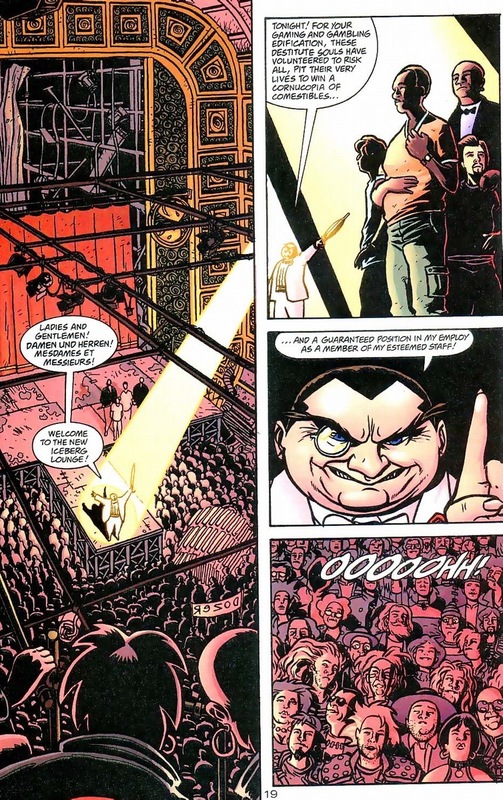 I’m not saying the Gotham masses enjoy seeing reluctant civilians get horrifically torn apart by shirtless bodybuilders, but it is something to do when the TV doesn’t work. Unfortunately for the Penguin’s pocketbooks, one man only came to poop on the party. 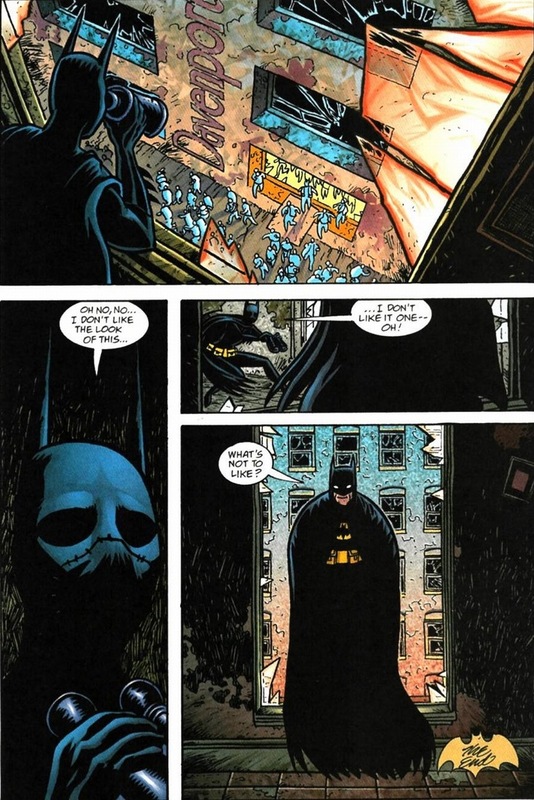 Y’see, Batman disappeared during the first half of No Man’s Land. 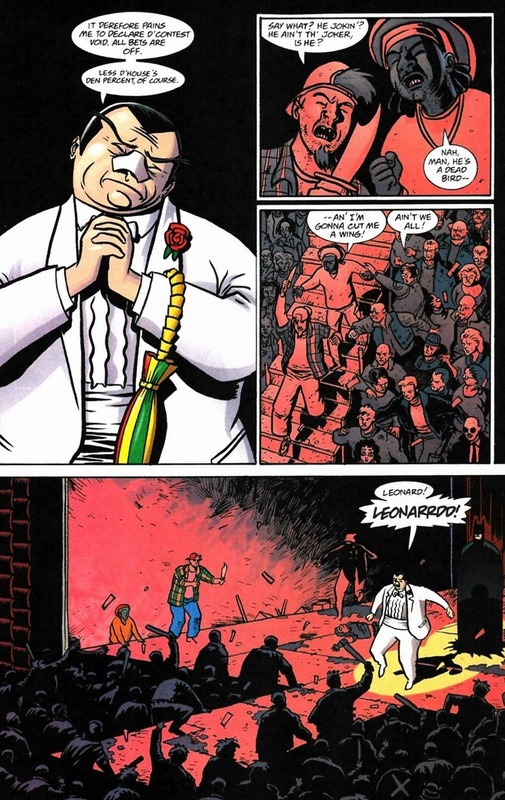 Bruce Wayne flew to Washington DC to beg for aid for his city, and it all ended with wasted time and not one punched supervillain. Luckily, he’s back in costume and loaded with plenty of jump kicks for those who deserve it. Plus, don’t forget all the jump kicks he has to make up with his time gone. 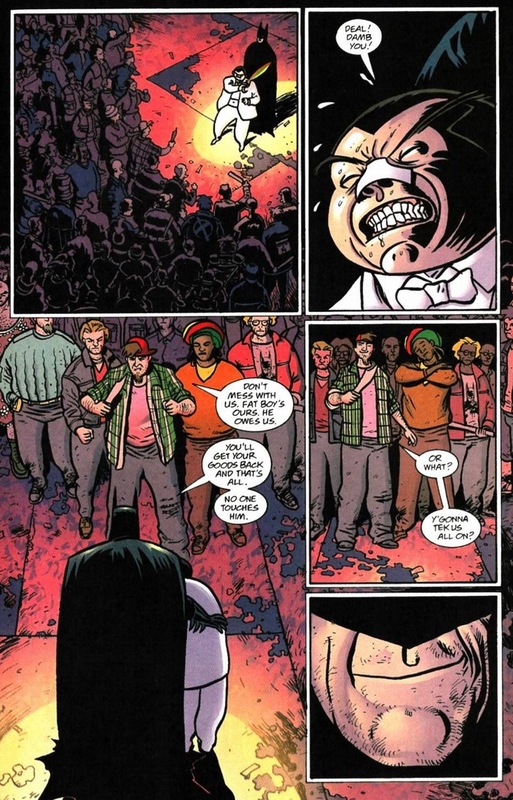 To unify the city once more, Batman decides to rule over it by fear — the fear people get when they commit a crime and receive a batarang in their face. 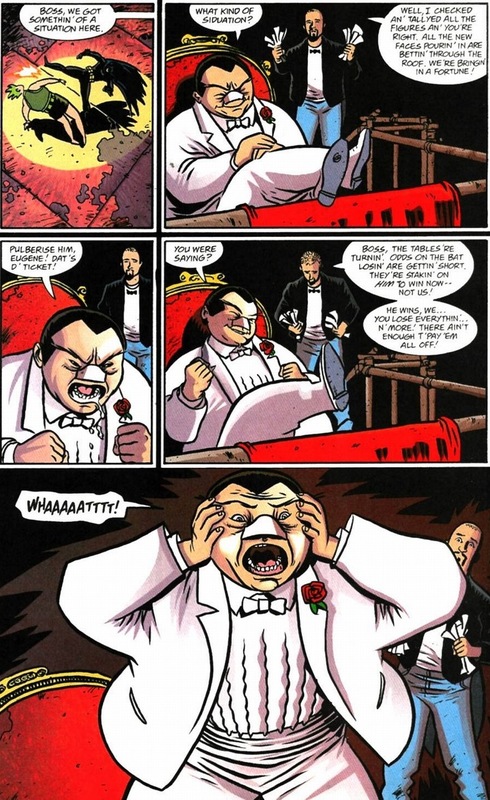 The Penguin doesn’t always get the supervillain credit he deserves. It’s not hard to see why — the guy can’t fight, he’s physically un-intimidating, no one’s scared of him, his greatest asset is a nightclub, and he named himself after an adorable bird. But let’s not forget: wealth buys a crapload of henchmen. Psh, like he’s really that obligated about this. 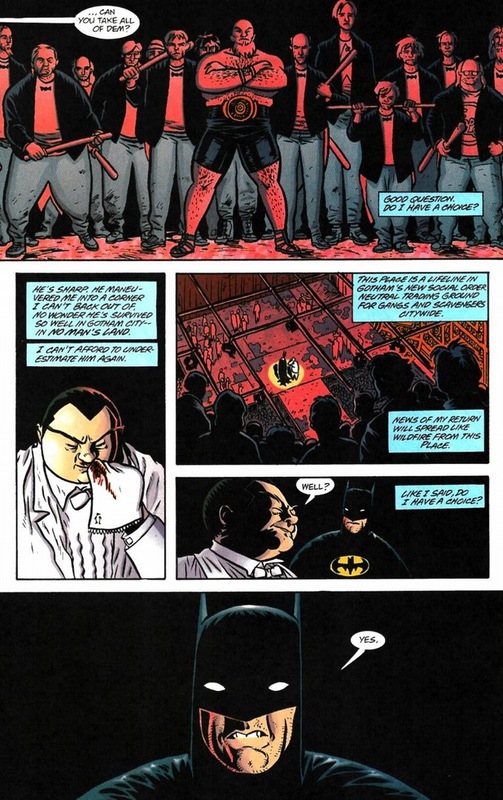 Batman lives to beat bad guys unconscious and now he has a whole gallery of them to fight one-by-one while thousands of people watch Batman break each bone and rupture each kidney. 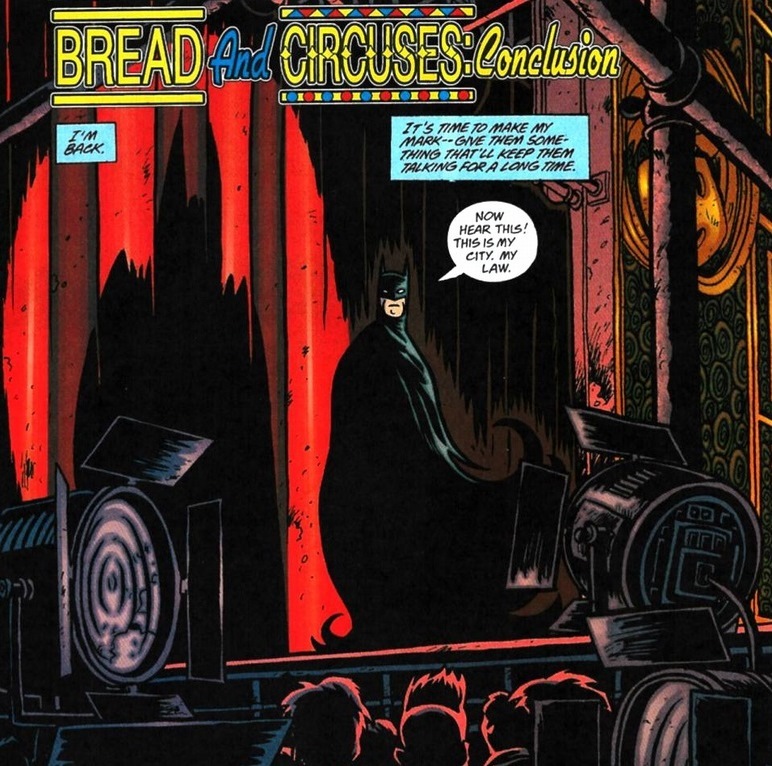 The audience certainly won’t be turning to crime once they see Batman singlehandedly destroy three dozen trained warriors. To save his fortune, the Penguin decides to intervene the only way he knows: insincerely. 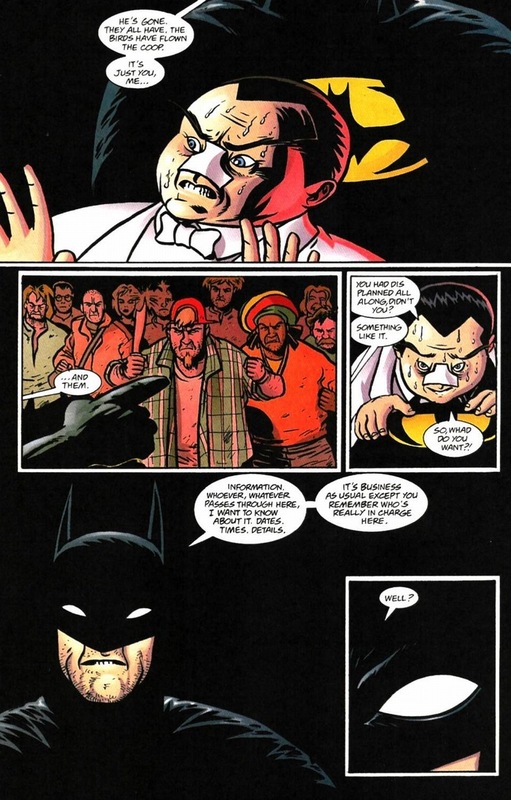 In a way, Gotham supervillains should be lucky that Batman’s their local superhero. I mean, he’ll put them in the hospital and cave in their faces and cripple their limbs, but as dawn rises, he’ll make sure all the bad guys are still alive (some breathing through tubes) and protected. Black and white justice is far safer than that gooey gray area. 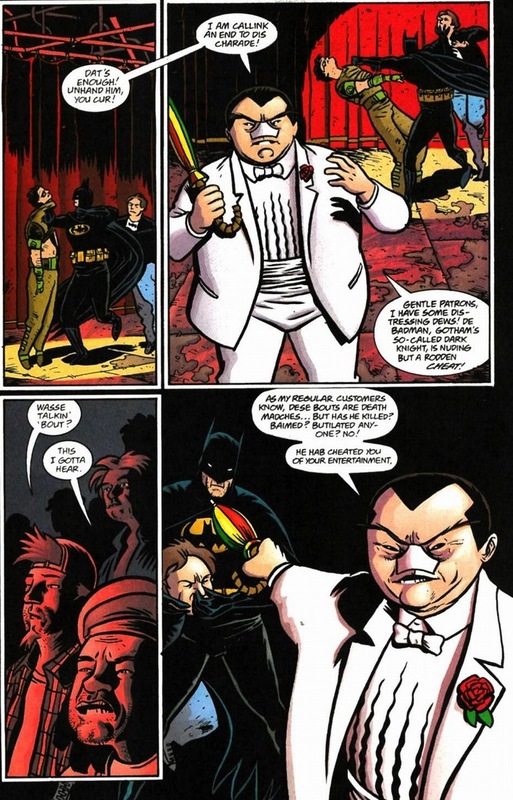 So just how Batman puts the Penguin out of business, he’ll also make sure the Penguin doesn’t get hit with pipes and crowbars. 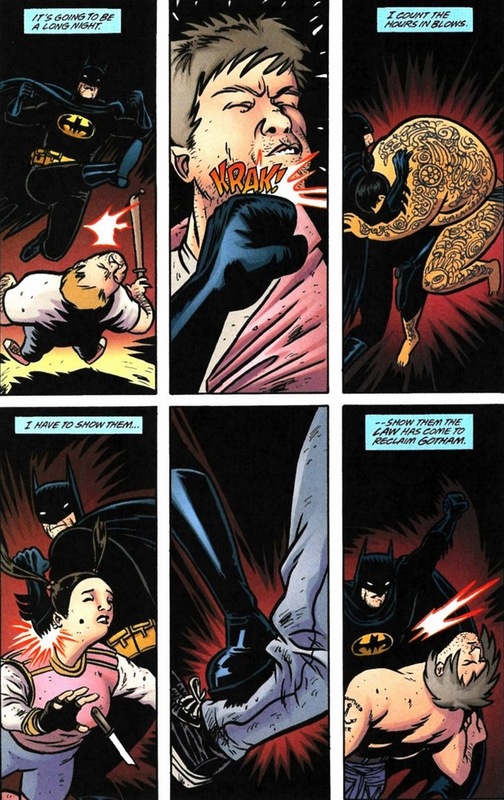 Batman’s a nice guy, but let’s never forget that despite his superhero-ness, the dude’s undeniably frustratingly scary. 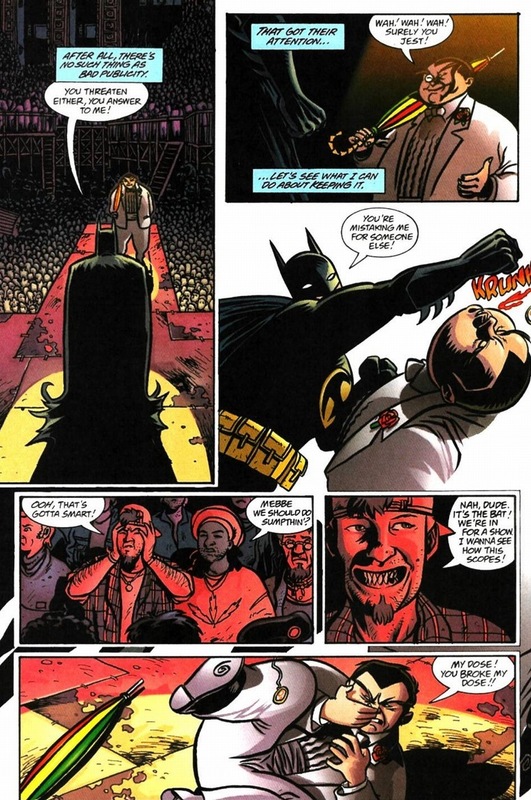 Step one to ruling Gotham City: beat up a dozen bad guys in front of the whole city. Step two: secure a reliable information pipeline. Step three? I think it’s beating up more bad guys. Actual miles flown = 1 mile per flight mile flown.